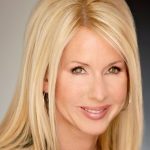 Tamara McCleary is the CEO of Thulium, a brand strategy and social influence agency. Tamara is ranked by Klear in the Top 1% of global Social Media Influencers and is listed as a 2016 Top 15 Social Media Marketing Influencer. Tamara is an IBM Futurist and ranked by LeadTail as the fourth most mentioned and retweeted person on Twitter by Chief Marketing Officers in 2016. Tamara presents keynotes and workshops on the topics of Branding, Social Influence, Women’s Empowerment, Marketing to Millennials and Women, Women’s Leadership, Diversity, Social Economics, Digital Disruption and the Innovation Economy. Tamara is the creator of the trademarked RelationShift® method. She counts as clients amazing brands such as: Verizon, IBM, SYNNEX, Huawai, Kawasaki Motors USA, Appboy, Zuora, Dynamic Signal, The CMO Club, VentureBeat, KPMG, US Department of Defense and the California Medical Association.